This is a DELICIOUS Bird’s Milk Cake (ptichye moloko)! A whipped sour cream filling turns into a delicate mousse, creating a Jell-O like cake known as the Bird’s Milk Cake. You may not even be a Bird’s Milk fan but wait until you try this one. My sister-in-law also commented “It tastes better than it looks” when she was eating some. I tried this cake at a wedding, and the yummy taste of it got my attention! My aunt got this recipe from the lady that made these and am I glad she did! This cake is quite pleasant considering the “sour cream” ingredient. 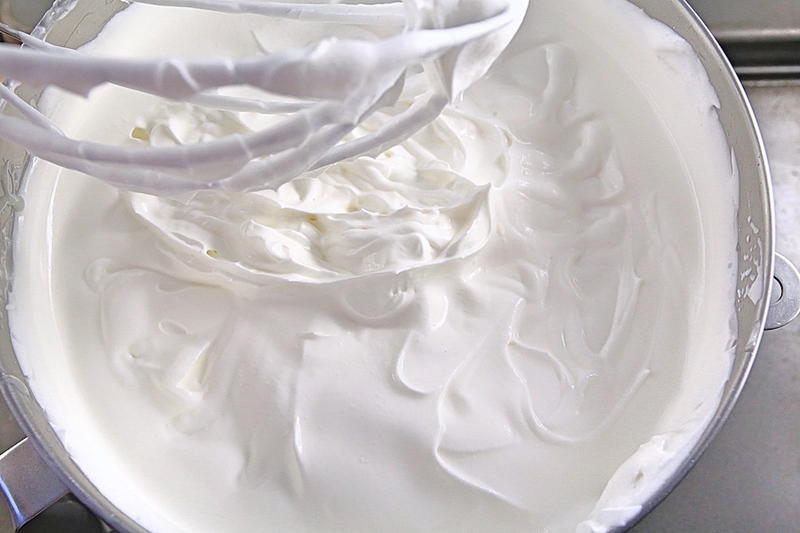 Did you know that sour cream doubles in amount when whipping? It did so for this cake. 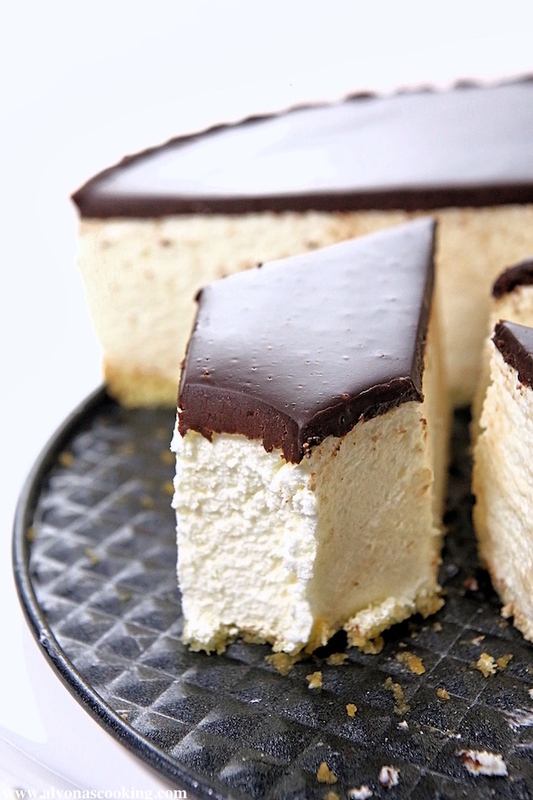 A delicious semi-sweet cake to enjoy with a cup of tea — Deliciousness! Note: This recipe makes two 9-inch cakes so make accordingly. 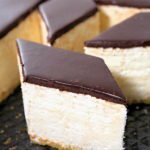 TO MAKE GANACHE: Microwave cream until boiling. Pour over chocolate chips and allow to sit a few minutes. After that, whisk until ganache comes together and cool. In the end, evenly pour onto the two cakes and refrigerate until set. 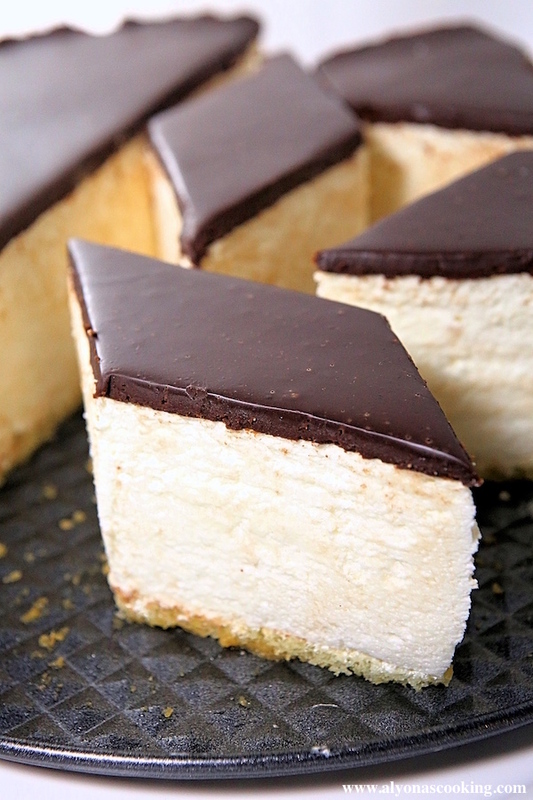 This is one DELICIOUS Bird's Milk (ptichye moloko) CAKE! A whipped sour cream filling turns into a delicate mousse, creating a Jell-O like cake known as the Bird's Milk Cake. TO MAKE GANACHE: Microwave cream until boiling. Pour over chocolate chips and allow to sit a few minutes. Whisk until ganache comes together and cool. Evenly pour onto the two cakes and refrigerate until set. I made this recipe and we LOVE it!!! I’m looking to make this for a big baby shower. Would I be able to make it in big rectangular sheet pan instead of the spring pans? Maybe a little thinner too? Do you think that would work? Hi Anka, that’s wonderful to know! Yes, it may not be as thick in a large sheet pan but you could always double the recipe and use up remaining batter in multiple dishes. I’ve made these without the cake layer in disposable clear plastic cups filled about 3/4 of the way and topped with a thin coat of the chocolate topping and it worked out nicely. Can you replace cool whiplash with normal whiping ? Hi, If you are referring to the cool whip for the cake frosting then yes. 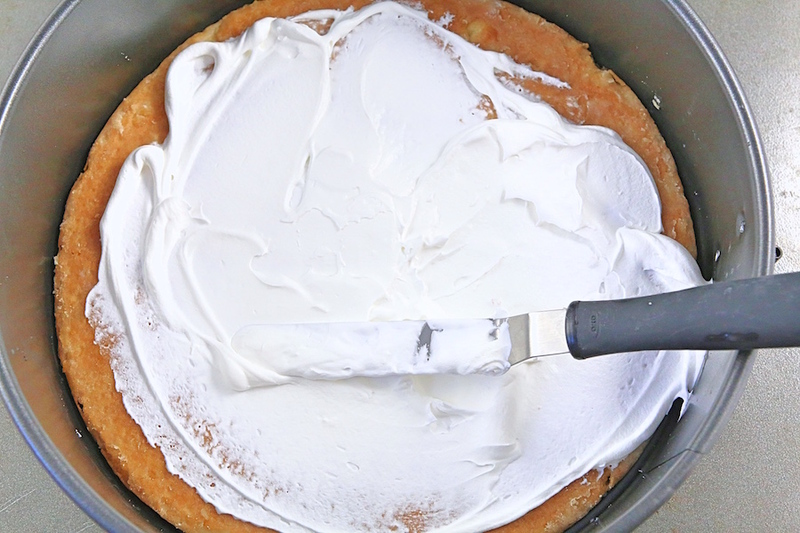 Just add some sugar to the whipping cream when beating that will make a substitute for the cool whip, needed. This recipe calls for condensed milk and i am confused. Is that evaporated milk or sweetened condensed milk? So many people when they write recipes mix these up. ? The recipe would need sweetened condensed milk. 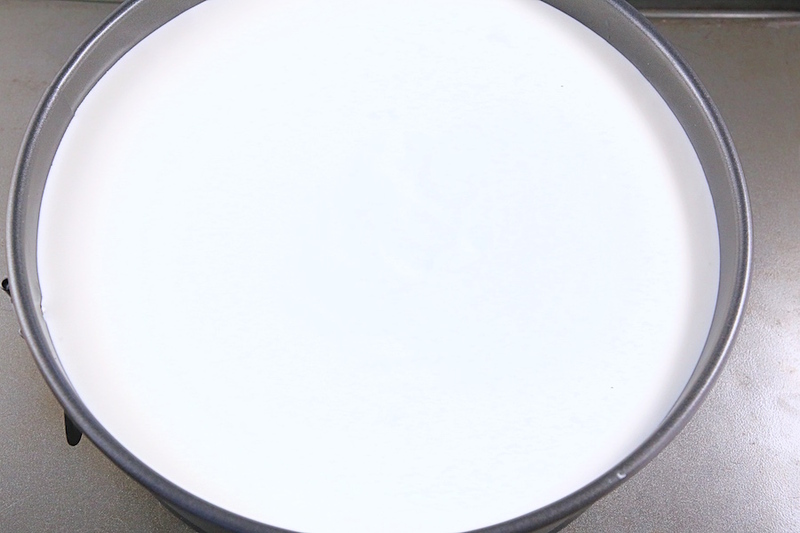 Evaporated milk is much runnier than condensed milk, where as the meaning of condensed milk is made denser making it much thicker than evaporated milk. Delicious recipe. Thank you. 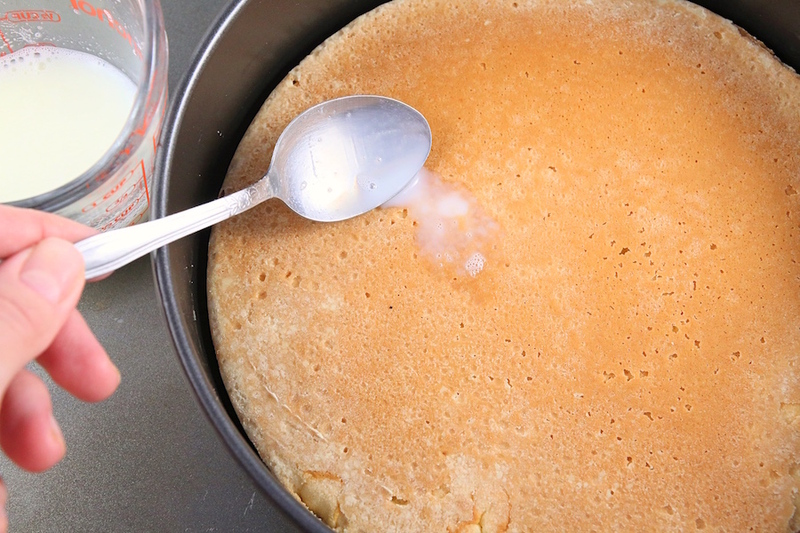 I would suggest dividing the batter and baking in separate springform pans lined with parchment paper from the start. 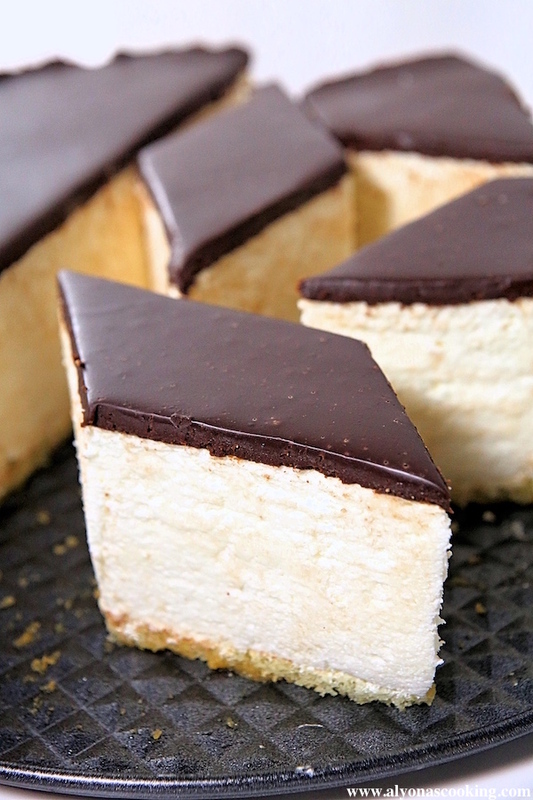 This will give you two beautiful sponge cake layers to work with. 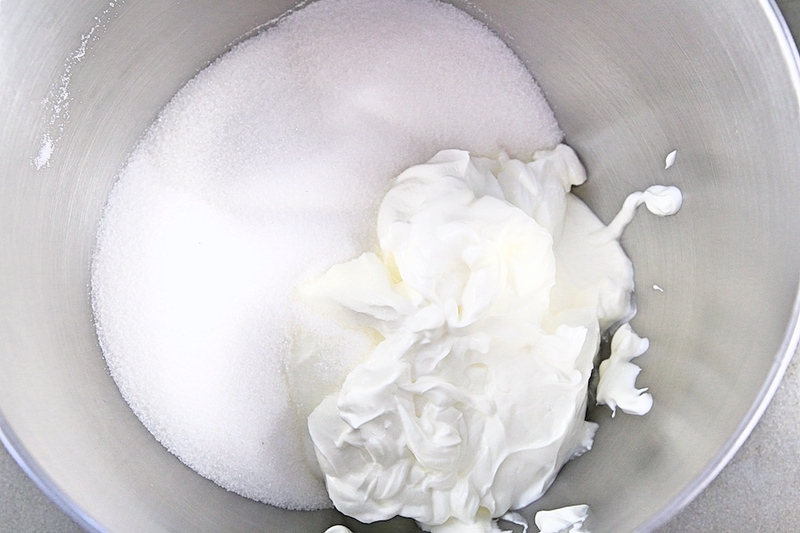 I also whipped up cold heavy whipping cream (1/2 cup) with a bit of sugar to use in place of whipping cream. Otherwise I followed the recipe as written. This is s keeper. Thank you for the feedback Lilly! It’s good to know the recipe is a keeper! Here’s the report! Made the recipe last night and could hardly wait til the morning to taste it. Lol. It came out just perfect, soft, fluffy and simply delishious!!! Used all the ingredient the recipe calls for. I didnt have the time to make the sponge cake, so I just used the oblong dish, size 9×13. My family is not a big fan of chocolate, so I omitted the topping. Still Recipe turned great the very first time. Great work! Appreciate your sharing! Oh wonderful, Good to know your feedback! Thank you for the New Year greeting May God bless you and your family! Hi Alina! This recipe looks rather interesting. However, i am concerned about adding a stick of butter to it. I want to make sure it sets well and you mentioned that mixture will be runny. I just want to double check on the butter part of it. Does it add some particular flavor? I got all my ingredients already and want to make it. I’m not sure what the butter does but this version is much tastier than another sour cream bird’s milk dessert that I have posted. Perhaps the milk, condensed milk and butter contribute to the flavor in this one. Their were lumps in the gelatine and milk mixture when heated but it seemed to have gotten better after the butter addition. I do recommend to use the butter since the recipe did call for some and to get the best results. The mixture does get runny after the addition of the hot gelatine mixture but it should set firm in the fridge so I wouldn’t be too concerned about the runny part. Do let me know how it turns out, thank you for commenting!